Thank the comedy gods! Showtime is picking up its drama series about the art of comedy, I'm Dying Up Here, for a second season, it was announced today by Gary Levine, President of Programming, Showtime Networks Inc. The fictional series explores L.A.'s famed '70s stand-up comedy scene. Season one starred Academy Award winner Melissa Leo (The Fighter, Treme), Ari Graynor (Bad Teacher), Michael Angarano (The Knick), Clark Duke (Hot Tub Time Machine), Andrew Santino (Mixology), Erik Griffin (Workaholics), RJ Cyler (Power Rangers), Al Madrigal (The Daily Show) and Jake Lacy (Obvious Child) as part of a large ensemble cast. Created and executive produced by Dave Flebotte and executive produced by Golden Globe winner Jim Carrey, Michael Aguilar and Christina Wayne, the series will go back into production in the fall, with 10 episodes premiering in 2018. Levine said this. "It is gratifying that so many comedians tell us this series really nailed the comedy club experience. The talented ensemble of I'm Dying Up Here, led by the brilliant Melissa Leo, and an equally skilled creative team behind the scenes, tell stories that scale the heights of comedy and the depths of drama, often at the same time. Having heard their plans for season two, I'm excited about the journeys these characters will take and the new ground the show will break." 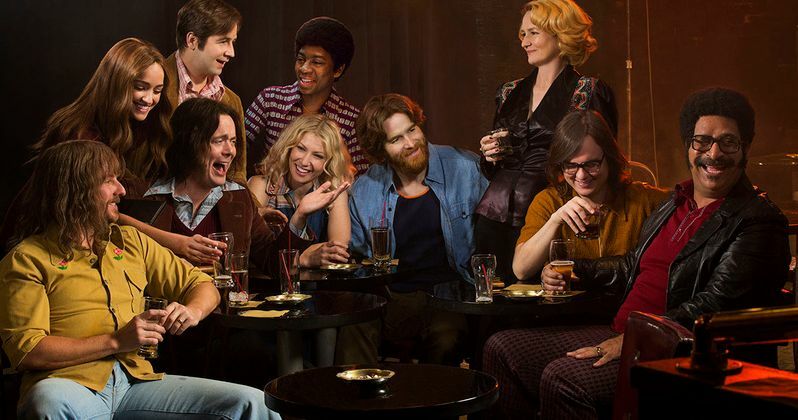 I'm Dying Up Here delves into the inspired, damaged and complicated psyches of those who stand alone in front of an audience "dying" for fame, fortune and, with any luck, a shot on Johnny Carson. This fictional group of competitive but close-knit comedians is mentored by "Goldie" (Leo), a brassy comedy club owner who rules over her business with an iron fist, but nurtures her comedians with tough love. The series takes viewers behind the curtain of the comedy scene that birthed the careers of legends such as Richard Pryor, Robin Williams and David Letterman, showing there's truly no such thing as an easy laugh. In season one, "Goldie" balanced the demands of her comics and the club, "Cassie" (Graynor) emerged from the Cellar with a renewed voice, "Bill" (Santino) finally got Carson's couch, Boston besties "Eddie" (Angarano) and "Ron" (Duke) traveled an uncertain road toward success that jeopardized their friendship, "Ralph" (Griffin) confronted old ghosts, "Adam" (Cyler) saw his ego threaten his rising stardom, "Edgar" (Madrigal) finally got some respect and "Nick" (Lacy) kicked a nasty habit, but how a burning development in the season finale will affect everyone at Goldie's remains to be seen. Produced by Shjowtime, I'm Dying Up Here is based on the non-fiction book of the same name by William Knoedelseder.